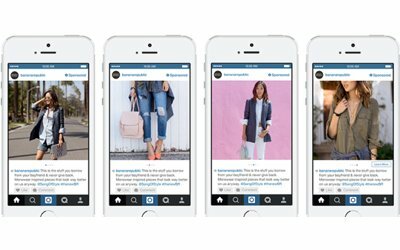 Like businesses, Instagram is always evolving. In the most recent update, Instagram added the ability to create “Swipeable Carousel Photos.” With them, you’ll be able to share up to 10 photos or videos as a single carousel post that friends can swipe through. There’s never been a better time to connect with consumers on social and carousel photos let your creativity flow more than ever. With Swipeable Carousel Photos, you no longer must choose the single best photo or video from an experience that you want to remember. For example, have a new product you want to feature? Now, you’ll be able to showcase it from many different angles. Want to show off all your happy customers and their new rides? Make a Carousel! Have a charity event and want people to know the time, location, and details? Make A Carousel! If a picture is worth 1,000 words, now you can write a book. If you’re already a client, we can create an Instagram carousel for you from your favorite photos. Not yet a client? Contact us today to see how we can help you use social media to engage with your consumers and build your business.